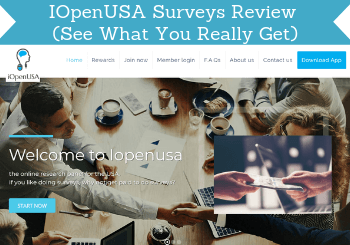 IOpenUSA is a survey panel that I just recently heard of as a visitor to my website asked me to review it. I decided to take a closer look at it to see what it really offers. So is IOpenUSA a legit survey panel or a waste of time? That is what I will share with you in this IOpenUSA review, so you can see exactly what to expect before joining. What is IOpenUSA and what does the site offer? IOpenUSA is a partner organization of Cint, which is one of the big market research companies. In a sense it is a good sign it is working with Cint, as it means it then lives up to certain standards and is legit, so you know you will get paid if you participate. In my experience, Cint partners do, however, also have some limitations at times but more about this later. I first tried to find out how big IOpenUSA is as this is always interesting to know about a survey panel. What I found was a little confusing. On the website, it says it has just above 180,000 members but I then also saw a recent post on their Twitter account saying that it has more than 8 million members. It is difficult to know exactly how many members IOpenUSA has. This is, of course, a little confusing. Anyways, the number of members does not necessarily say much about the quality of a survey panel. I just found it a bit strange with this big a difference in the claims. But what really matters is, of course, what the panel offers and how you can earn on it, so let’s go over that now. The beauty of most Cint partners is that they are very simple and easy to use. You just join and then you will start receiving email invitations when there is an available survey. This is also how IOpenUSA works. So the way to earn here is by joining, and then you will be able to share your opinion by taking online surveys and get paid for them. The simplicity is great as it makes it very user-friendly. However, another common thing most of this particular type of survey sites also have in common is the limited amount of surveys. This means that you should definitely not expect daily survey opportunities but maybe a few every week. This will, of course, vary from week to week, but overall you should not expect too many. Also, surveys are the only way you can earn on IOpenUSA so there are no other earning methods you can use the days when there might not be any surveys. This is not necessarily a problem but you just need to know, so you know what you can expect if you join. So if you decide to join IOpenUSA and get a few surveys once in while, you need to know how you will be able to get your earnings paid out. When you take surveys, you will get paid in dollars into your IOpenUSA account. This makes it easy to see exactly how much you have earned, as you do not have to convert from points. Once you have earned $12.50 you can get paid. This threshold is a little higher than the threshold of the fastest paying survey sites but it is still a fairly low and reasonable threshold. With the amount of surveys available, it can, however, still take some patience to reach the payout threshold. You can get paid out in cash through PayPal or get Amazon gift cards, so the rewards you can get once you reach the payout threshold are very good. Just be aware that when you cash out through PayPal, you will be charged a 2% handling fee. IOpenUSA describes in its FAQ section that this is a fee charged by PayPal and not by them. There are, however, panels that make sure to cover that fee so you will get the exact amount you have earned and do not have to pay a fee for it. 2% is not much but if you have to be patient to be able to get out $12.50, it would have been nice to also get the full amount. As you can probably already understand from this review, the earning opportunities on IOpenUSA are limited as there are not so many available surveys and there are no other earning opportunities. The rewards per survey vary from survey to survey so it is not possible to say exactly how many surveys you would need to complete to get to the payout threshold. According to IOpenUSA itself the size of the reward, it claims you can get also varies. On the website, it, for example, says you can earn between $0.50-$10 per survey. IOpenUSA claims different things about the earnings per survey. I can say that in my experience with Cint partner panels in general, you can at times maybe find surveys that pay up to $5. This will, however, not be often. The majority of the surveys will pay between $0.50-$3. As you do not get many of these surveys, the earning opportunities on IOpenUSA are therefore limited. If you join it, you should, in my opinion, only join it as an extra panel and not as the only survey panel. 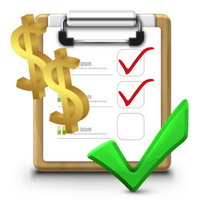 You need to also join the higher paying survey sites to get enough earning possibilities. It is always nice to be able to use survey sites on mobile, as it is an easy way to take surveys whenever it fits in during the day. IOpenUSA makes this possible as it has an app. You can take IOpenUSA surveys through the Cint app. This is, however, not an app just for IOpenUSA as some panels have just for their panel. It is an app that is connected to most Cint panels like for example also the Triaba panel. So it does not give any extra opportunities or anything like this. 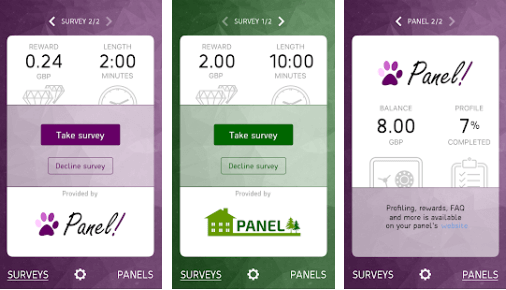 It is just an app that gathers the surveys panels from Cint in one place. So it makes it easy to check if there are any available surveys, but you will also be told about this via email anyway. When you take a survey, you will still be taken to a website where you have to complete it. So it is not a super high-tech app with extra options but it can still be a good way to get a quick overview of your earnings. It might be obvious from the name, but IOpenUSA is only available if you live in the USA. You have to be 16 years or older to join. The US is, however, one of the countries with the most survey sites and the best opportunities to earn money like this. IOpenUSA is, in my opinion, not one of the best sites to join here. It can give some extra surveys, but if you want to prioritize your time, there are many better survey sites in the US with more earning opportunities. If you decide to join and need help on IOpenUSA, there is a support option. On the website, you can find the support email under the “contact us” tab. It does not say how long it will take before you will get an answer but just that they will get back to you asap. Alternatively, you can also go to their Facebook page and send a message there. IOpenUSA is a partner of Cint which means it is a legit survey panel and you know you will be able to get paid. But that it is legit, does not necessarily mean it is worth your time. So let’s sum up the pros and cons so you can get a better overview to see if it is a panel for you or not. Overall, IOpenUSA is easy to use and is legit. It does, however, not have very big earning opportunities as it will give you a very limited amount of surveys. It can be a decent extra site to join if you want to join as many survey sites as possible. But if you want to prioritize your time and only join the ones with the best opportunities, then there are many others that give better opportunities, in my opinion. Especially if you live in the USA, as you here have so many good survey sites. You can check out the best survey panels in the USA here. If you do not live in the US and still have landed on this review, you can instead check out the best sites in your country here. If you have any comments, questions, or have any experiences with IOpenUSA yourself, I would love to hear from you in a comment below. IOpenUSA is a legit site and it has good payout options. The earning potential on the site is, however, limited so you should not join this as the only survey site. This will give you too few opportunities. It is a panel for the US and here you can find so many great survey sites, so if you want to prioritize your time, you should consider joining some of the better sites with more opportunities instead.